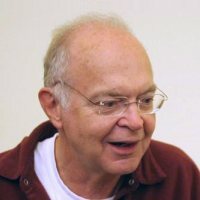 American computer scientist, mathematician, and professor emeritus at Stanford University. Author of the multi-volume work The Art of Computer Programming. Worked on several branches of theoretical computer science. Father of the analysis of algorithms, systematized formal mathematical techniques for the analysis of the computational complexity of algorithms. Creator of TeX, METAFONT and the Computer Modern family of typefaces. Compulsive caching or pre-calculation of answers when the questions aren’t performance intensive is a bad habit.